Joannes is a very friendly and talkative man. An ardent and accomplished tailor specializing in African print designs, you will always find him in his tailoring shop, laughing and chatting with friends. 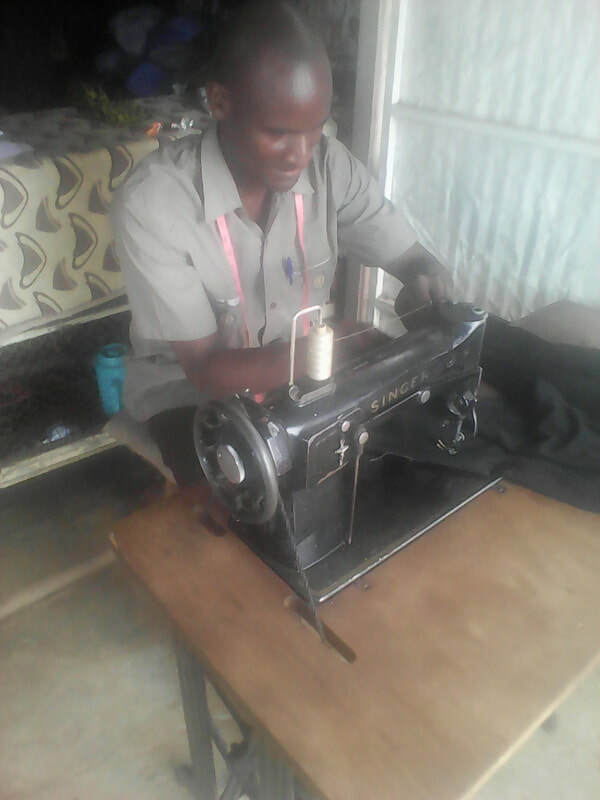 Morning to evening he works hard, sewing his way out of poverty, one stitch at a time. Usually, Joannes is not alone. Sitting quietly behind him is his 4 year old son. He sits with his father all day. He used to be a normal child at one year old; he was very smart and had started talking and reading alphabet charts. One day as he was sleeping, his parents heard him make a strange sound that would change his life. They rushed to see what had happened when they found him lying in bed, staring into space, his entire body paralyzed. Since that day, he has neither talked nor walked. And so his dad carries him everywhere he goes; to town, to the shop, and to church. They have moved with him from one hospital to another in vain. 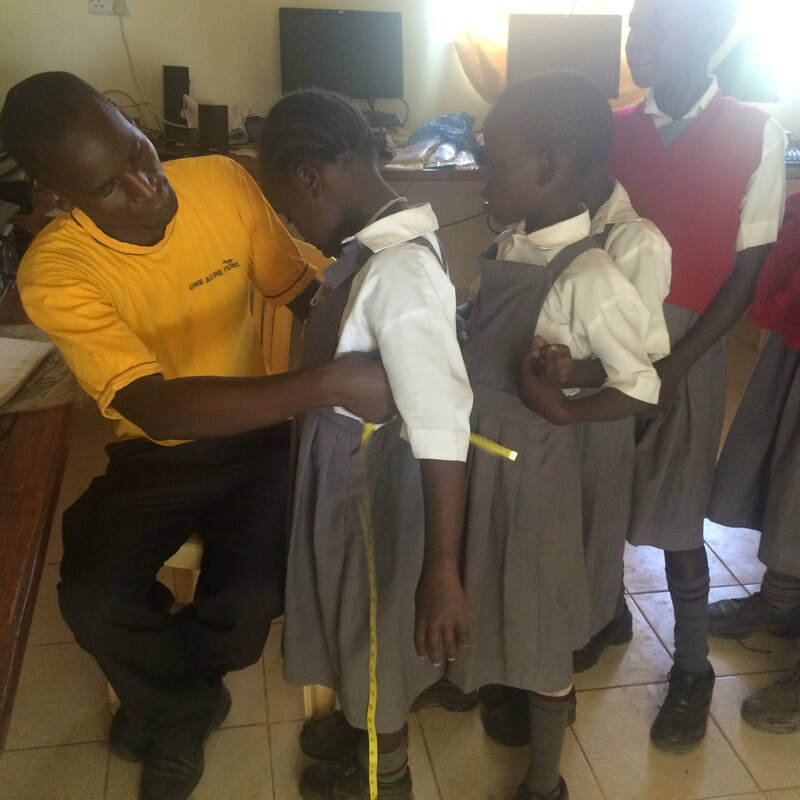 Wherever they go, they are referred to the next hospital or doctor with no tangible help. They have spent over $20,000 raised from contributions from friends and relatives and the sale of land. And yet, they still do not have answers. Where is baby Sixtus' mother? When people see him going everywhere with the baby, feeding him and changing his diapers, they sometimes feel very sorry for him and asks where the baby's mother is. Unknown to them is that at 81 years old, Joannes' mother is old and, like baby Sixtus, is also paralyzed and has to be helped to stand, walk and go to the toilet. "My wife has to look after my mother while I work and look after Sixtus," he tells me. "We decided to divide the duties." As I listen to him narrate his story, I cant help admiring how brave and determined he has been to support his family against all odds. "David, I have accepted my situation. I came to a point in my life that I decided I should love my son. If I don't love him, no one will love him for me. I must love him first then other people can love him too," he says with a big smile on his face. Talking to Joannes, I was deeply inspired by how positive he was about his new life since baby Sixtus was taken ill. He is working hard to provide for his family and does not want pity from anyone. "This is my problem and I have the solution,'' he tells me. "If I acknowledge that it is my problem, then others will join me and then it will no longer be my problem alone, but ours as a community," he explains. As he goes about his business in the community, Joannes believes his community can learn a lot from him. "I carry my son everywhere I go [such as] to work. I feed him [and] change his diapers. It has become so normal to me. I am not ashamed. I cannot lock him up at home like other people do. God knows why he had to be this way. I have not lost hope and I know I have to be strong and keep doing my best. Many people are learning from me how they can stand up with their families in times of their greatest needs. God will help me, " he says while holding his son in his arms. 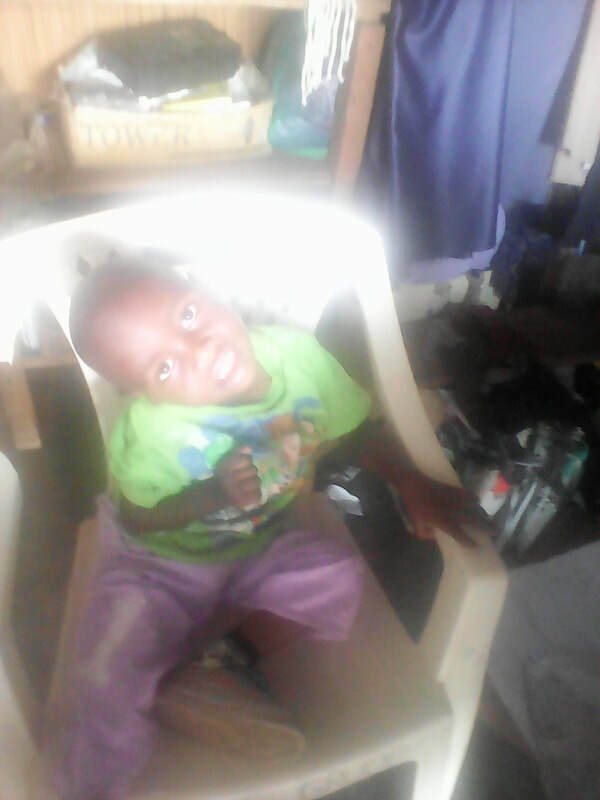 Through the Make Me Smile Program, Joannes received a donation of a walking frame with 5 wheels and a walking cane to aid baby Sixtus to learn how to walk. Many thanks to our friend, John Freeman for putting a smile on this family's face. 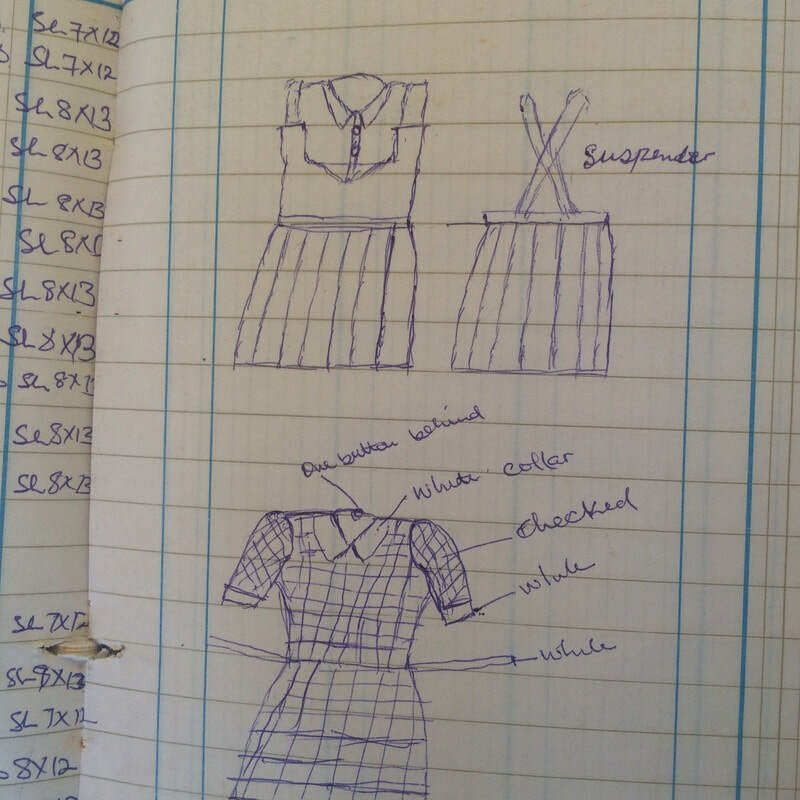 Thanks to our wonderful partners at Tailored For Education Org, USA (http://tailoredforeducation.org/) , Joannes is making school uniforms for 120 students at Akili School and 20 students of the Pollination Project (https://thepollinationproject.org/) grantee Millicent Mbero's Jimmy Junior Academy (http://www.maendeleohub.org/stories-from-the-field/the-woman-who-taught-one-student-for-two-weeks) in Kisumu. 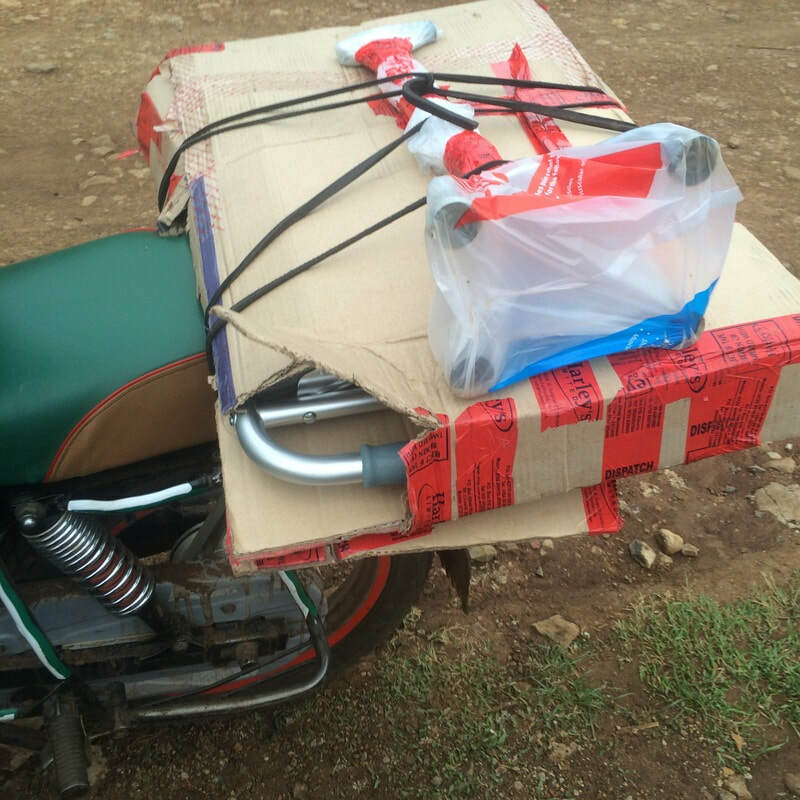 Proceeds earned will enable him to support baby Sixtus and his Family. Baby Sixtus goes for physiotherapy sessions thrice a week. Doctors have recommended that he undergoes a surgery that will cost his family $6000. 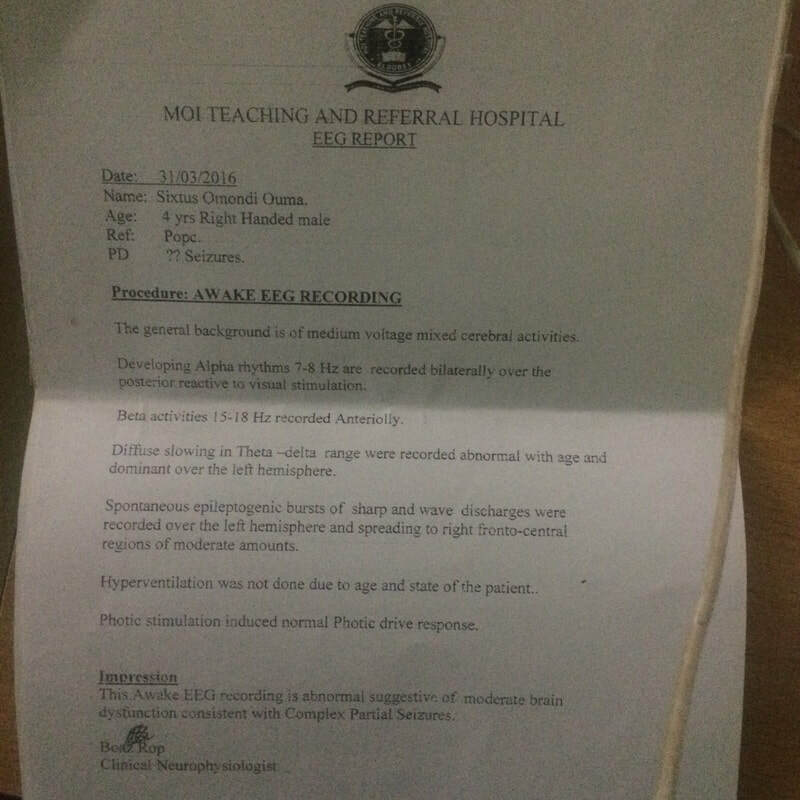 Since he cannot eat solid foods, he weighs 14kgs and the doctors want him to weigh 18kgs before they can operate on him. 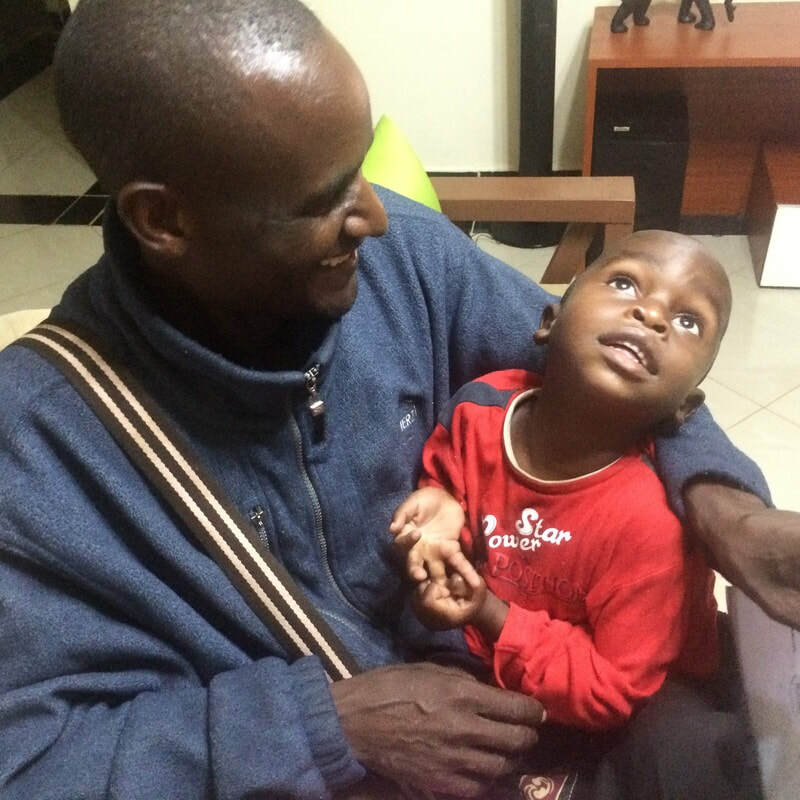 You can support this family and make baby Sixtus walk, talk and live a normal life again. Contact omondidavid@gmail.com for how you can be of help.